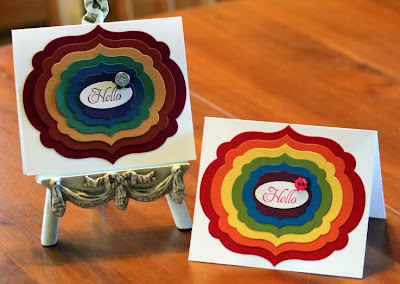 The Sound of Stamping: Rainbow Cards - Sneak Peak! 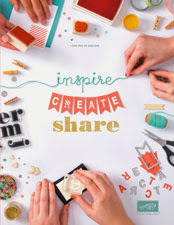 The new Autumn-Winter Mini Catalogue is just around the corner and here's a sneak peak of one of the fabulous products in it. I've chosen to make rainbow cards to showcase just how cool the new label framelit dies are, using all six of them on each card. The card on the left has colours from the Regals Collection on Very Vanilla while the other is from the Brights Collection on Whisper White. 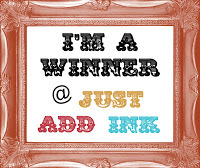 As rainbows have seven colours, I've used the 7th colour as the sentiment and embellishment.